I’m a tenkara fisherman living in the desert southwest part of the United States. Here in Phoenix, Arizona, there is very little running water. We have urban ponds and desert lakes but I have to travel to fish tenkara in mountain streams. My interest is insatiable and I generate further interest from writing and sharing tenkara on the Internet. The fact that I live so far away from a trout stream is a burden and it also is a reason why I strive to meet other tenkara fisher people. I have a constant desire to interact, to learn, share and be a part of something bigger than my home where my tying bench is, my rod rack and the collection of tenkara angler’s kebari from around the world. Like many of the people that I meet through interactions on the Internet, I also meet Todorok-san this way. 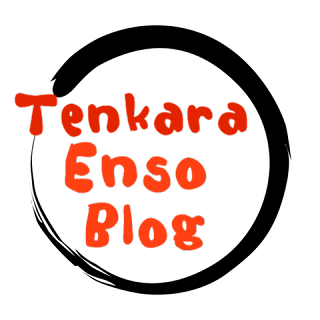 My web site www.tenkara-fisher.com had gone through a change and I dropped the forum portion of the site whereas https://discourse.10colorstenkara.com filled in the missing forum with several of the members of my old forum. 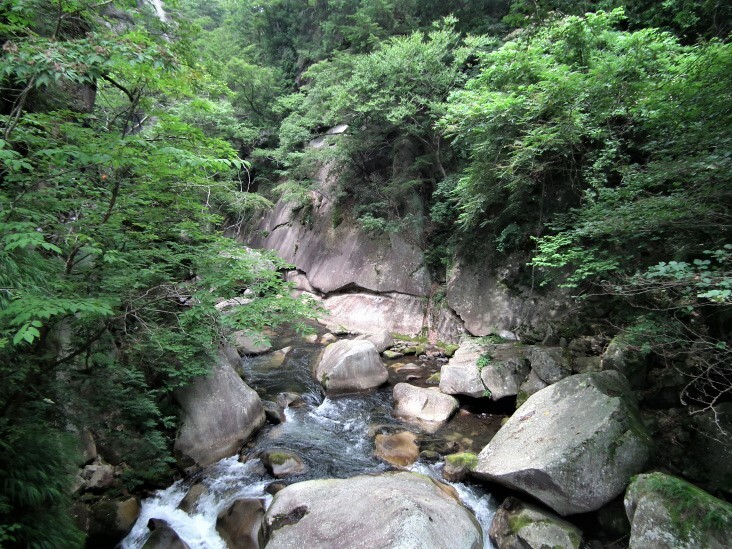 Todoroki-san and I meet there and started to interact and contribute together on different tenkara subjects. I have really enjoyed learning more about tenkara from our conversations. Todoroki-san offered to send kebari to me which I accepted (I like collecting and fishing kebari from my friends) and I will use them this next season on a couple of my favorite streams. He uses a variety of hooks and makes many different kebari that are quite aesthetic, pleasing to a fisherman. As a fly tyer, I am also learning different styles of tying from him. I think this is a good place to start the interview, I am excited to get started. Adam: Welcome Todoroki-san! Thank you for agreeing to this interview. I appreciate you for interacting with us in the English language which is good for the outside of Japan community and I appreciate the skill that it takes to do this and as I said, you do it well. Toshiro Todoroki: Thank you for offering an interview. Adam: You are very kind and I appreciate your sharing the topic of tenkara fishing. If you do not mind, I would like to make our interview a little bit more back and forth. For our readers, the way that I make the interview is to write it in one piece, imagining what the subject will answer to give the interview “flow” so offering you to ask questions adds in a little bit more complexity in thinking. I know you will do well with this as I have conversed with you a little before we have written this conversational article. Your English is good, I hope that I do not confuse you. 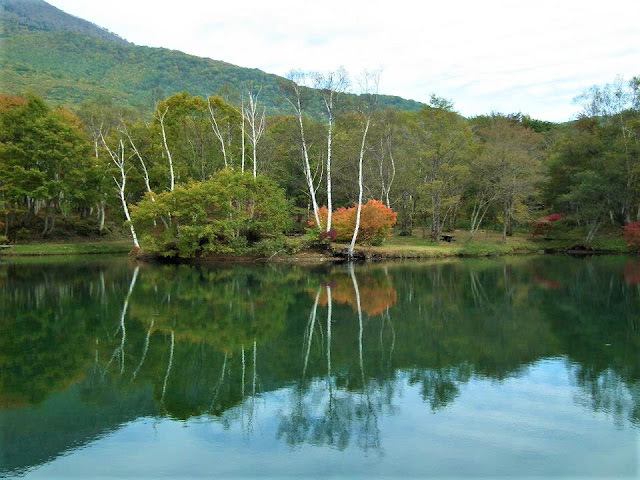 Toshiro Todoroki: I was sympathizing very much with Adam's tenkara website's knowledge and way of thinking Mr. Adam knowledge and idea of tenkara fishing is surprised to be richer than Japanese general tenkara fisherman. "Do the quest for your tenkara fishing came from somewhere?" Adam: Yes, the quest comes from searching for the magic of being a child. Fishing is a way for me to be young again. Tenkara is very much like how I started fishing as a child, with a bamboo rod on a stream, rod, line and a hook. From there I got into fly fishing, as an adult, I started to create fly rods from bamboo, and I found out about tenkara, very high performance rods, all the attributes of fishing that I enjoy. My desire to fish tenkara comes from wanting to return to childhood. "Is there anything I can cooperate with?" Adam: Absolutely. As we get further into the interview, I speak a little bit about how I look at tenkara fishing outside of Japan. But to preface, the series of interviews that I have done with Japanese tenkara anglers is to get the perspective of Japanese tenkara. 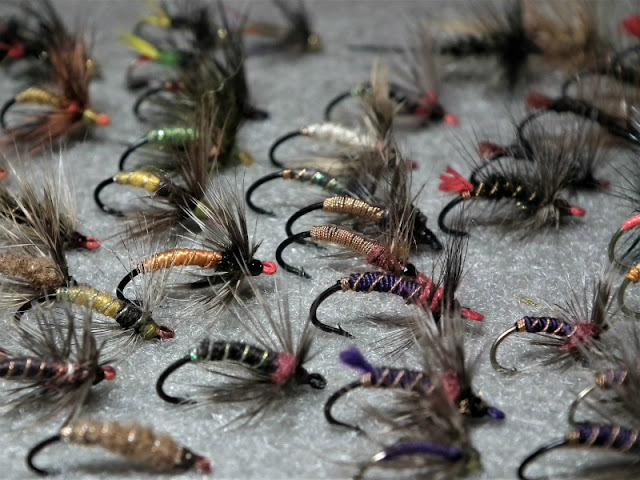 I was specializing in small stream fly fishing for many years but I quit it to specialize in tenkara. I like where it started, the history, the practitioners and experts there but I have my own perspective. I'm one of the community yet I am not a follower, I do it in parallel and I contribute to it. You can help me by your influence. I like the Japanese influence but I'm definitely going to practice it in America, my own way. I like the term, ten colors of tenkara. There are actually more colors than that, as many as there are people practicing it. Adam: I am fishing tenkara going on my ninth year, no fly fishing, only tenkara. I have written interviews and articles with many tenkara experts in Japan and have discussed quite a bit about all different genres of tenkara. I am 57 years old and I was fly fishing small streams since I was a child. I quit fly fishing to learn tenkara knowing that I could come back to it if I wanted. At first this was a difficult thing to do but as I gained knowledge and skills, tenkara not only replaced my fly fishing, it satisfied my desire so much more, I still have not had the urge to do it. 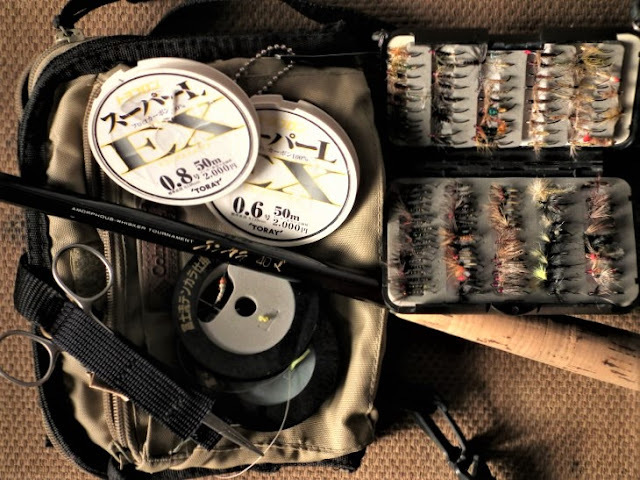 I knew if I continued to fly fish AND do tenkara, I would not learn the fine details, my focus would not be as sharp and I would not be able to draw the line between the two. To the effect of stopping fly fishing and only doing tenkara, it has not been hard and I know I’ve made a good decision for me and what I do. The method of tenkara is very effective in mountain streams and that is where I specialized my own fly fishing for so many years before I found out about it. Toshiro Todoroki: My tenkara fishing is a fishing way that has been done in the middle mountainous region of Japan. I live a mountain stream for about an hour by car. Adam: This part of the interviews that I do is my favorite. The background of tenkara anglers is always interesting. Even those who think they are boring or mundane, there is usually another interest that goes along with tenkara. Toshiro Todoroki: I went around a variety of sightseeing spots with sales of Kirin Brewery but now I am retiring and agriculture. My family is eating it because I am growing vegetables, rice and fruits. Since I went around the various places, I taught kebari from a local kebari fisherman. I like fishing, but I feel comfortable space for me in the mountains. Change in my life is a constant but I have always fly fished. 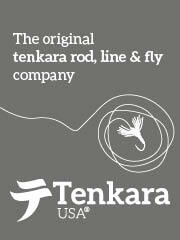 I used to fly fish in mountain streams with really light and long fly rods ever before I found out about tenkara. That is actually how I meet Yoshikazu Fujioka, through our common love of fly fishing in the mountain environment. I was making a small stream fly fishing web site in the mid 90’s and Fujioka-san was reading it. He also started his own and we shared in each other’s adventures. I finally got to meet Fujioka-san at the 2015 Tenkara Summit in Estes Park Colorado. 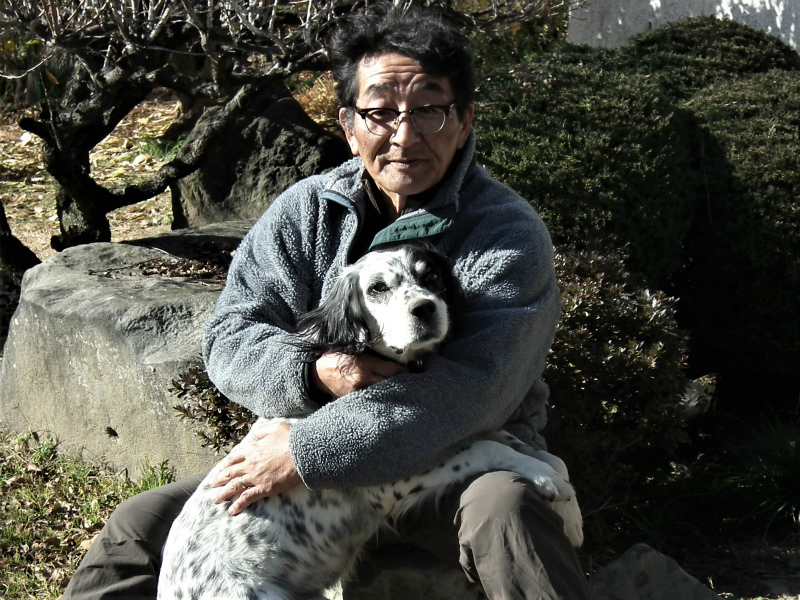 He is a kind and gentle soul, he knows a lot about tenkara and kebari. I feel that it is a wonderful website full of enthusiasm and I am impressed that I explain it to overseas. Adam: Fujioka-san is my oldest reference to tenkara and Japanese fishing in general. I found out about sawanobori from him too. But I found out a lot about tenkara specialists in Japan from Daniel Galhardo at Tenkara USA when I got my first tenkara rod from him. I’m nearly twice as old as Daniel and have been fishing a lot longer than he has but I’ve learned so much from him about tenkara. Now I help him tell the story of tenkara. For me, this is an honor. He introduced me to Masami Sakakibara and Hisao Ishigaki as well as Yuzo Sebata and many other famous anglers. He also shared his lessons, his knowledge to a wide audience of English speaking tenkara enthusiasts through his different forms of media sharing. I’m grateful for Daniel-san’s introduction to these great tenkara anglers. In 2009 when I got my first tenkara rod from Daniel-san, I was using the Internet to research tenkara. I do not speak Japanese so my searches where incomplete yet I was able to find out quite a bit about the method, the resources and the anglers that practiced it in Japan. With the help of my Japanese friends, I began to purchase books on tenkara and was lead to further resources. I found out about Hiromichi Fuji and Soseki Yamamoto from other Japanese tenkara anglers like Eiji Yamakawa. Soseki Yamamoto was a prolific Keiryu author/enthusiast that detailed quite a bit about tenkara in his books. On my own, I found out about Kazuya Shimoda and his style of fishing tenkara. Shimoda-san had a film crew that produced tenkara videos and I must say that Shimoda-san has greatly influenced my own learning about tenkara as well as the other anglers that I have mentioned. My point is that the community in Japan, even though it is very small is quite broad in scope of practicing tenkara. Many different schools of practice, many teachers and I believe my efforts to show this wide audience of Japanese tenkara enthusiasts has been good but there is always room for improvement. Adam: I’m very appreciative of your time here and I want you to know that I have the greatest respect for this Japanese method of fly fishing. Early on, I learned quite a bit from Masami Sakakibara, his enthusiasm for helping non-Japanese tenkara anglers is big. In an interview that I have done with him, I asked him to tell me what tenkara is and his answer regarding how once tenkara has left Japan was eloquent. Masami Tenkarano-oni Sakakibara: I think Tenkara is about fishing in the beautiful mountain stream of Japan, for our beautiful native trout which inhabit them. Yet today, Tenkara seems to have spread to the US, Europe and more. 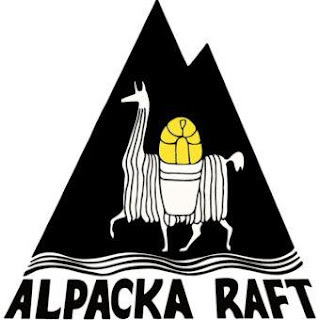 I’m sure that they too have beautiful rivers and streams, with beautiful trout or other fish which inhabit them. 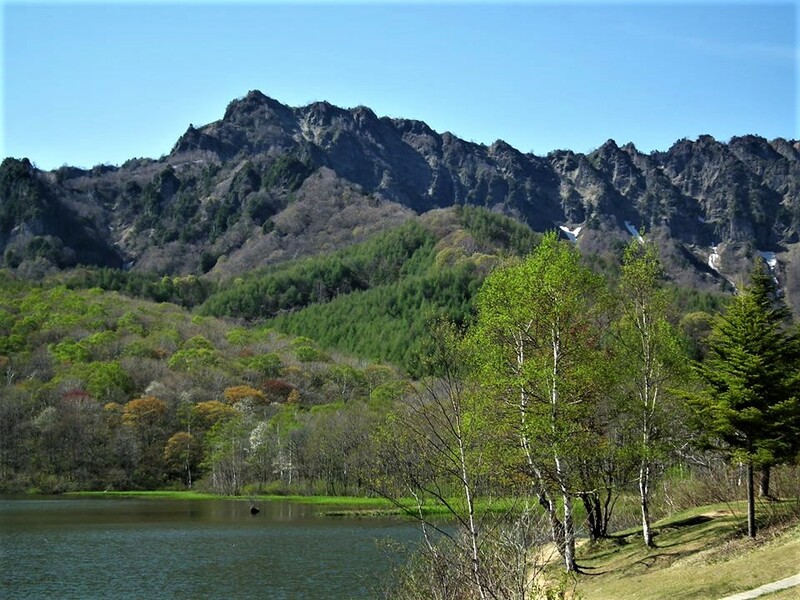 Hence once Tenkara has left Japan, or it enters another country and culture, people who pick up a Tenkara rod there have the right and obligation to decide what Tenkara is for them. It is certainly not for me to decide. Adam: I’m an American, I learned about tenkara from an American and a deeper understanding of it from the Japanese but I’ve learned from both cultures. I’ve decided to help others understand that tenkara came from Japan but now, it is outside of Japan and my point of view is more like Masami Sakakibara’s. I know what it is and I do it myself but that is where my tenkara ends and yours begins. Our definitions can overlap or join but ultimately, it is for you to decide the way you practice your fishing. The biggest difference is that kebari is strong. I think Sensibility tool Fly and harvesting tool kebari are different. Is hard to explain because different also by era. Adam: I have Japanese tenkara books that have western flys and Japanese kebari side by side. Sakasa style kebari share the same chapters as a Parachute Adams. Comparing and contrasting styles of the tenkara experts has always been something that I enjoy. The “10 colors of tenkara” has been a great way of looking at tenkara for me, so many choices, each choice makes up the way we do it. I like using Japanese bait hooks, they are thin, sharp and I like the shape. 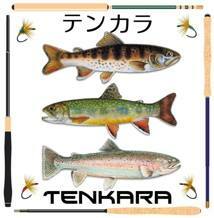 These hooks are designed for the telescoping rods and that is the type of rod configuration that tenkara rods use. If I had a minimal choice of materials to make my kebari from, it would be, black thread, a grizzly neck hackle, a size 7 Japanese bait hook and a simple vice. Just to be tricky, maybe a little patch of deer hair and some dubbing. 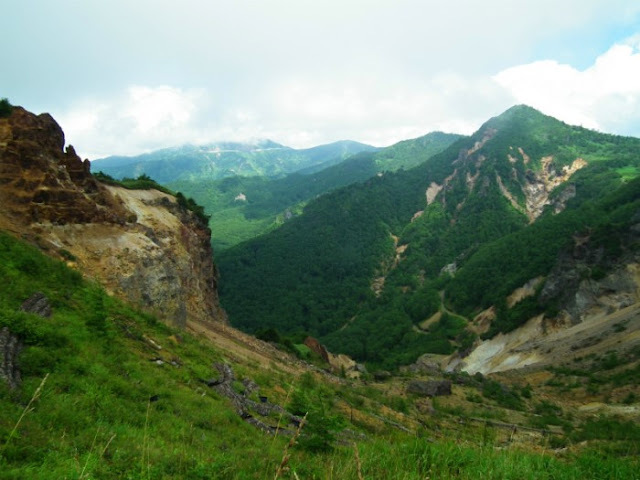 Toshiro Todoroki: If it is the smallest tool, only hooks and threads are available and others are in the mountain. Adam: I’m primarily a level line tenkara angler. I learned that from Ishigaki sensei. I like the attributes of a balanced level line. 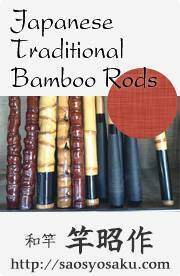 My rods are typically measurements like 2.7m, 3.3m, 3.6m, 3.9m, 4.1m and 4.5m. I used to construct lines specifically for each rod trying to match the personality of the rod with the construction of the line. I now use a “sweet spot” of the rod length plus 1.5 to 2m for the mainline and a .5m for the tippet. So now I make lengths of lines that reflect that. I build lines like 3m, 3.5m 4m, 4.5m etc. My favorite length of rod and line is a 4m to 4.5m rod with a 5.5m to 7m length. When I can catch stream and river fish with this length, it’s my favorite. My next favorite is 3.6m rod and a 4.5m line. Adam: Over the years, I’ve explored a lot of the equipment available to us from Japan. Early on, Sakura chose me as a representative for N. America and I also helped them set up distributers in South Africa and in other areas of interest. As I said before, I got my first rod from Tenkara USA and still, my favorite equipment is from them. My tamo, strap pack, and the rods are what I use most and the rod names are the Ito, Sato and Amago. Those rods get a lot use but I also like my Sakura Sekirei and my Nissin Zerosum rods (along with a Oni 4.5 Nissin Zerosum) too. I like nice equipment. Adam: As I am getting further into my experience as a tenkara angler, I have lost interest in the “latest and greatest” rods preferring to become proficient with the rods that I have been using for years. I value experience rather than trends. With a fixed line rod, the variables become far less variable, I can cast a line with a raw piece of bamboo nearly as effective as a entry level tenkara rod. A refined rod is a pleasure to cast but I’m not so sure I could tell the difference between different rod class and brands. I prefer the familiar experience rather than chasing a new rod each year. Toshiro Todoroki: I tried it with friends' various rod, but I think that it is a wonderful performance even for the low price rod of now. Instead, I can not feel the performance improvement of expensive rod. I like familiar rod is the most. Adam: Phoenix, my city, being in the desert, it is hot in the summer and mild in the winter. During our winter months, our urban ponds become cool enough to sustain trout. When I was younger, I would not be caught fishing in this type of water. It wasn’t serious enough and did not require any skill. Now that I am older (and hopefully more wise) I fish in the city pond almost exclusively in the winter. There are many that are just a few minutes drive from my home. I don’t have to travel for hours to catch trout, now I catch them much more in the winter because I go all the time. I tend to use longer rods and lines because it is easier to reach the fish. Many of the fish that are stocked in the urban ponds are also bigger. It’s a lot of fun and sometimes they are hard to catch, it does take some skill. I see in Japan, the same type of ponds, it looks like they are in the cities and there are many anglers. Toshiro Todoroki: I use it when I can not go to mountain streams due to bad weather and I will enjoy the reaction of new kebari. Adam: I really have a lot of fun with these interviews, I learn quite a bit from them. I would like to slowly start to close the interview. Toshiro Todoroki: I made tenkara website in February 2009 because tenkara fishing was confused even in Japan. It was the current situation that most tenkara information comes from the same book. Of course Fly, as well as Kebari is gifts of pioneers of wisdom and experience, but knowledge of kebari was very poor in japan. ・・・Please see my website for detailed explanation. This is the reason why the old Kebari angler is being introduced only by photos. 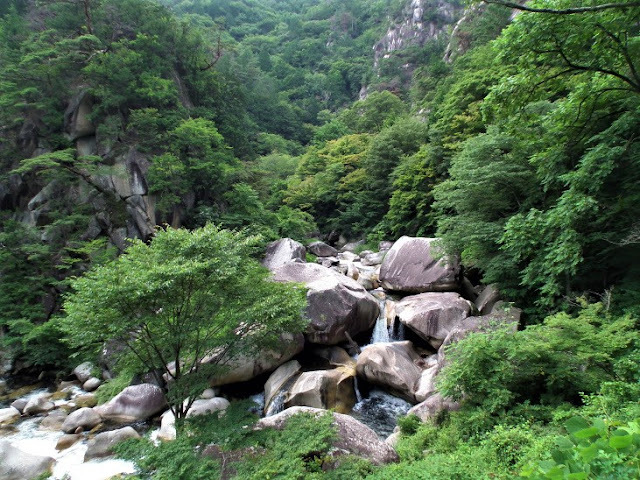 ・・・The traditional kebari fishing method which is done in the central mountainous region was not introduced at that time. The misrepresentation as lore was a state that was too bad. Originally tradition kebari is a thing to be told when it is recognized as a friend, but too many imitations of shapes were too many strange things. I do not think that there is a mistake because I think that it is fishing that changes depending on the target fish and environment. Mistake may be able to fix, but I think that we should unfair information is eliminated. If you learn the basics you can enjoy yourself. My fly fishing is also the same with 10' bamboo rod and silk line. Adam: As much as I enjoy learning from the Japanese experts, I must say that my teacher is truly the rod, line and fly. The trout grade my tests and how I feel after I go fishing is how I get paid. I must say, I’m getting paid very well, I enjoy tenkara. Sometimes when I am walking up a stream, hunting for fish, I lose time. Sometimes I am fishing a pool and it seems like I have worked it for an hour but I look at the watch and it was only 5 minutes. Other times, I find myself at the top of the valley, miles from my car and the sun is going down behind the ridge and it is getting colder and I thought I was gone for only a couple of hours. Time is different when I am concentrating and hiking a forest stream. Adam: Todoroki-san, thank you for your time, I really appreciate your point of view and I enjoy your participation. Please feel free to write anything you want here. I really enjoyed putting it together. He is a super nice gentleman and I appreciate his commentary and the beautiful fly and kebari craft. I hope to interact more with Todoroki-san. Can I keep in touch with you again? David, I think Todoroki-san is saying that he would like to help you with some fly and kebari! Please contact him. Todroki-san is a kind, generous, persistent man. Today I received a wonderful package of his personally tied kebari. Thank you Todoroki-san.